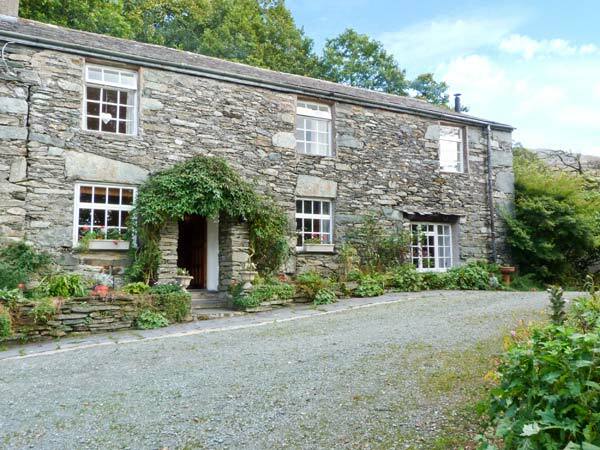 High Kiln Bank Cottage is a traditional characterful semi-detached cottage in wonderful countryside, two miles from the small village of Seathwaite in the Duddon Valley, within the Lake District National Park. The cottage has three bedrooms - a double, a twin and a family room with double and single beds - upstairs, along with two bathrooms and an additional cloakroom. Downstairs is a kitchen with dining area and a sitting room with woodburning stove. Outside is ample off road parking, a small terraced garden and access to wonderful walking and mountain biking. 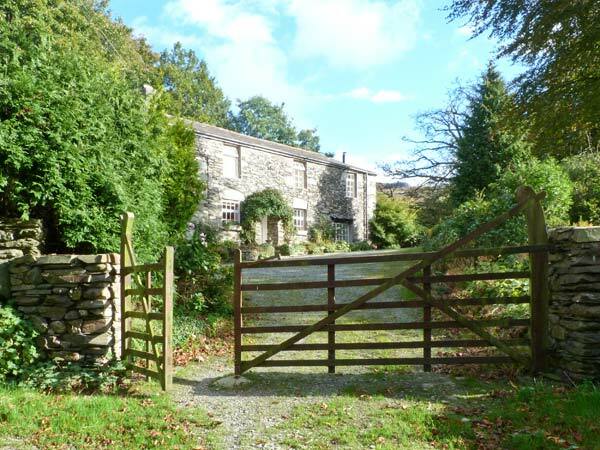 High Kiln Bank Cottage is well placed for enjoying this lovely part of the Lakes, making it a tempting year-round retreat. Three bedrooms: 1 x double, 1 x twin, 1 x family room with 1 double and 1 single. Two bathrooms with bath, shower over, basin and WC. Basin and WC. Kitchen with dining area. Sitting room with woodburning stove. Oil central heating with woodburning stove. Electric oven and hob, microwave, fridge, freezer, washer/dryer, dishwasher, TV with Sky, DVD. Fuel, power and starter pack for stove inc. in rent. Bed linen and towels inc. in rent. Travel cot, highchair and stairgate on request. Off road parking for 3 cars. Lockable bike storage. Small garden with furniture. One well-behaved dog welcome. Sorry, no smoking. Shop 3 miles, pub 2 miles. Note: Fishing on the River Duddon is available; guests must have a national rod licence, bring their own rods and obtain a local licence.